This guide will help you choose the best removal company and break down the removal process for you. 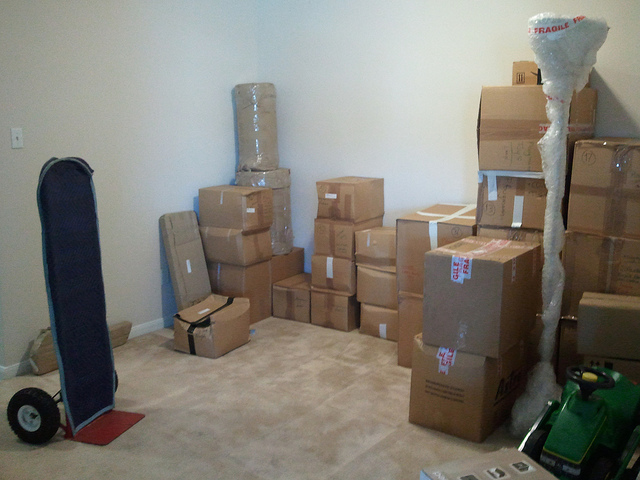 When choosing a house removal company or movers, we would always advise trying to find one that is a member of BAR. The British Association of Removers website is a good place to begin looking, as all members registered there have volunteered to be held to certain standards of conduct. This includes things such as properly licenced vehicles, deposit protection, and a free resolution service should anything go wrong. Removal companies that aren't willing to invest in regulation could potentially be unwilling to upkeep their vehicles, which could be a breach of their insurance (assuming they have it), let alone a hazard on the road. You would also not be covered should your items be damaged in transit. CheckATrade is also a great place to source reputable companies. We would also advise avoiding most 'man and van', 'van man' and 'white van man' services unless you know them personally. They often don't have signed agreements, or even a registered business address. They also usually employ casual labour - non-professionals who may not treat your possessions with care, and could easily disappear after doing a sub-standard job. We've heard horror stories of these 'man in a van' movers turning up on the day and demanding more money, otherwise they'd threaten to leave, putting the whole chain of movers at risk. Do you offer insurance and what does it cover? How many years has the company been operating? What level of security is provided if possessions are stored overnight? Do you have a depot or office to visit? When talking to potential moving services, its best to use common sense and your best judgement. Look for people who are reassuring, knowledgeable, reputable and even smartly dressed. Even better if they are open about their reputation and are willing to provide references. Remember that they will be in charge of your worldly possessions so if you have any bad feeling about a moving service it's not worth taking the risk. What Is The Cost of Moving House? In short, the more stuff you have the more expensive it will be. This is because a higher volume means more weight, larger or multiple vehicles, and a bigger removal crew working more hours. The distance you are travelling is also a major contributor to the removal price, costing more in fuel the further the distance. If moving long distances, perhaps internationally, drivers must comply with driving regulations, requiring them to have a 45 minute break every 4.5 hours. If you want the move done within a certain time, the only way to increase productivity is hiring more crew members. You also have to factor in the packaging materials and removal boxes, especially if you own items that require particular care and attention, like a grand piano or valuable artwork. You should also consider what day of the week you move. Fridays and weekends will be more expensive due to higher demand, so it might be worth taking a day off from work as you could save money overall. 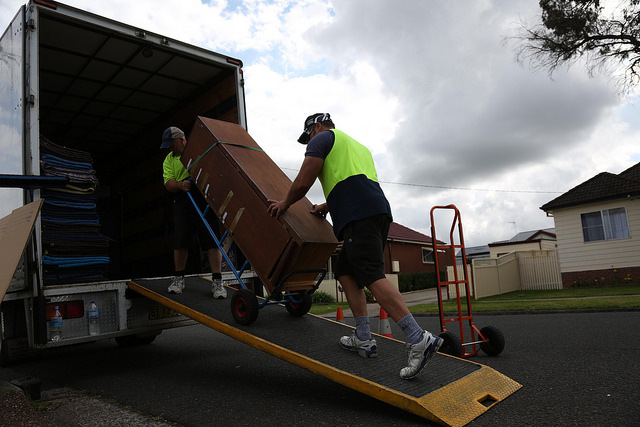 As there is a lot for a movers and packers to consider, good ones will visit your property before giving you a quote to ensure they are accurate. Prices can range from about £500 for smaller houses, up to several thousand for large and difficult, international removals or long-distance moves. Proceed with caution should a blind estimate be given over the phone. Bear in mind that going with a cheap removals company won't always be the best value for money. How Should I Prepare For Moving Home? Tidying up and throwing things away is always a good start. Try and get a floorplan online which you can then use for indicating what goes where. House movers often provide stickers or something similar to colour code your items for easy organisation. 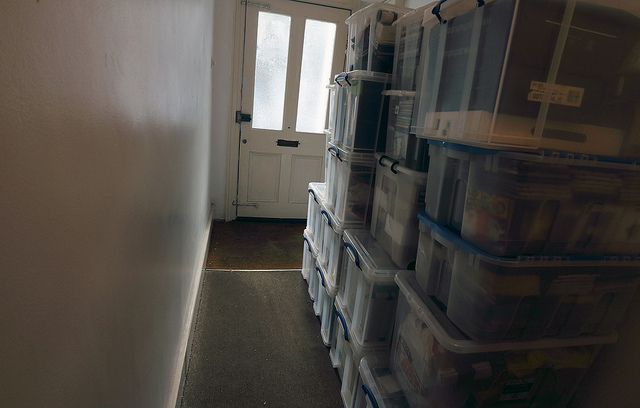 Help pack smaller items into removal boxes, but try to remain out of the way. Avoid putting all your items in one place. It's a common misconception that this makes things convenient for removers, but usually crews will plan the loading logistics in the most efficient way, and having a pile of belongings can be an obstruction. Eat the food in the freezer in the time leading up to the move. Remember to check the loft and the shed for anything you might have forgotten about. Pack amenities that you might need last. That way you can quickly access them when you arrive in your new home. eg. snacks, kettle, childrens toys. It's up to you. Getting on with your removers will go a long way towards getting a good service. Crews will usually expect at least a cup of tea and a biscuit, but if you feel the job warrants it, it's not uncommon to reward them with a crate of beer, or even your unwanted items should they want them. Iain Hinchliffe, Nicole Gonzalez, Sunset Removals (Flickr), Lars Ploughmann. Last updated on 15/01/2015 by Jonathan Rolande.